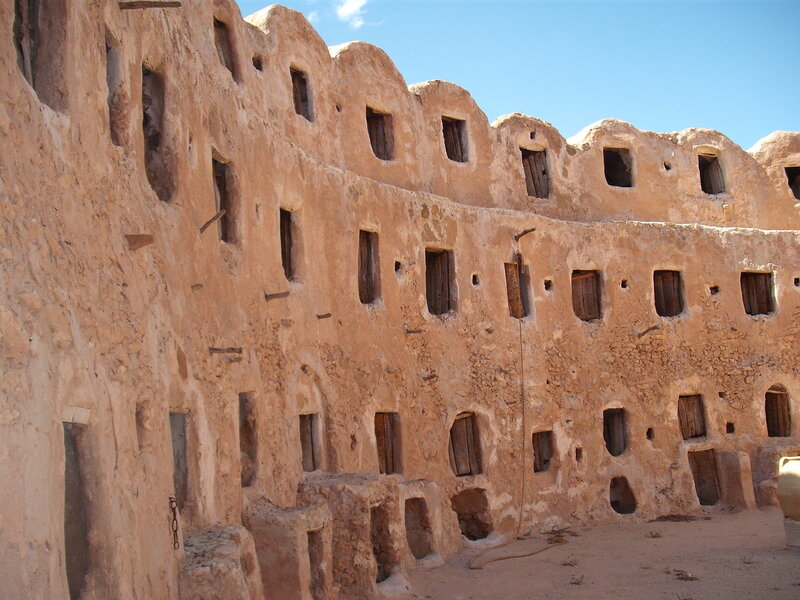 One Day Trip Tour to Nafusa Mountain: Adrar Nafousa or Jabal Nafousa tour will start with first stop at Qasr Al-Haj, where you will visit the traditional Berber fortified granary, before continuing to Tormisa to see Fantastic views from this deserted and ancient stone village of Tarmeisa, clings to a narrow rocky outcrop overlooking a stunning down off the escarpment over the Sahel Al Jefara, with its hundreds of valleys heading northwards. 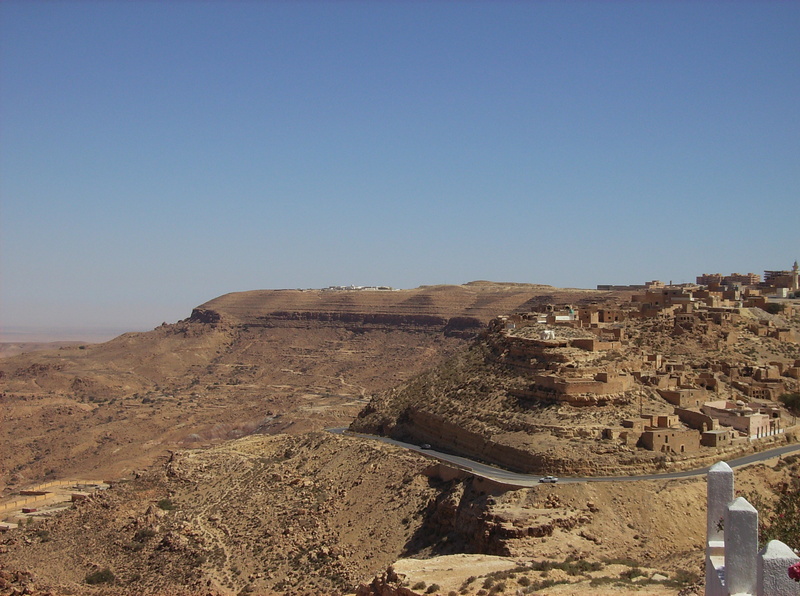 Then you continue driving to Yefren a beautiful place to visit, comprising several mountains divided by deep valleys and truly magical groves and little jungles and cliffs that give the city its unique edge. 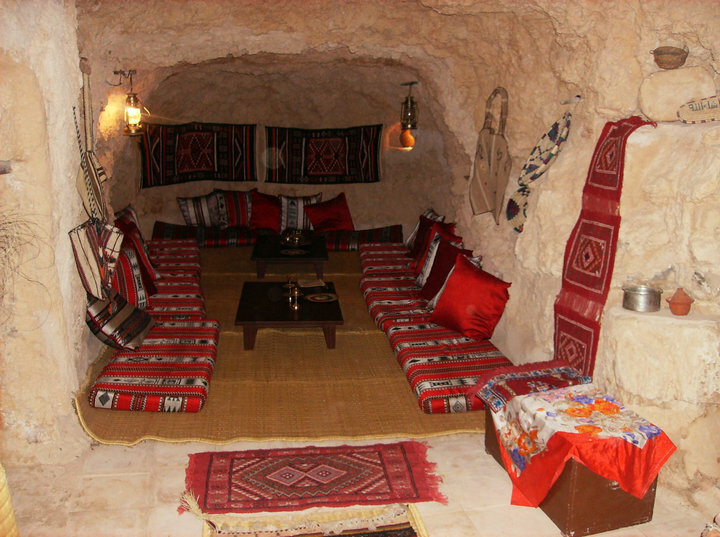 Then driving to Gharyan and its famous troglodyte caves are a major attraction for tourists. 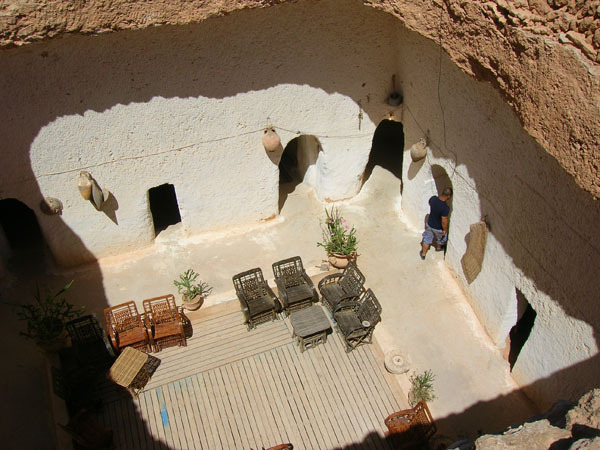 Highlights: Traditional Berber fortified granary, Gharyan’s troglodyte caves , Eslyien Traditional House in Yefren.